Just the phrase alone is enough to make business owners cringe – but with some simple preparation and organisation of your records and documents throughout the year, tax time doesn’t have to be so stressful. Whether you’re doing your bookkeeping by yourself or you have hired an experienced bookkeeper to monitor your accounts, there are a few things you can do to make tax time a little bit easier to manage. Keep thorough records throughout the year – Don’t make the mistake of throwing receipts, invoices or any other business-related documents out throughout the year. You might need them come tax time! If you don’t, better to be prepared rather than stressing out once tax time rolls around. Not sure what to keep and what you can toss? Ask your bookkeeper for some tips (or just play it safe and keep it). Know when to call in the professionals – Did you start a business this year or has your business grown? Sometimes it’s best to just let the professionals take over – bookkeepers are a valuable asset for any business as they manage your finances and keep you on track (and organised) throughout the year. That in itself is worth every penny to a busy business owner. Don’t wait until the last minute – You know when tax time is every year, so don’t wait until the last minute to start preparing. Throughout the year, your bookkeeper can offer tips and suggestions that will make tax time less stressful, not to mention half the work will be done when tax time approaches if you keep your documents, invoices and receipts organised all year long. Peace of mind – Cut down on clutter around the office and make it easier to communicate with your bookkeeper by implementing cloud-based accounting software into your daily routine. Through cloud-based software, your bookkeeper will have direct access to your accounting program from a remote area, making it easier for both of you to do your job as it grows. 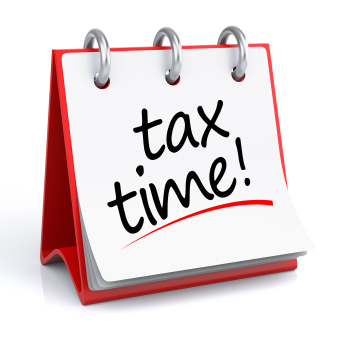 For many, tax time is stressful, but it doesn’t always have to be dreadful. Stay up to date and organised with your files and look to a professional bookkeeper to help you stay focused and prepared at all time!